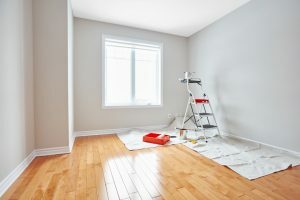 Buying a home can be incredibly expensive, and when you’re looking to save money, it can be incredibly tempting to put money down on a “handyman special” or a “fixer-upper” home. These houses usually are sold for lower prices, but the low price tag comes at a different cost. Fixer-upper homes are often hiding additional, more expensive repairs than initially meets the eye. For example, a 2016 study found that 26% of people budgeted between $25,000 and $50,000 for kitchen renovations. If that seems beyond your means, remember that just one room! If you do plan on purchasing a home in need of a few repairs before you move in, here are a few tips to keep you from falling into an expensive and regrettable trap. It’s easy to be drawn in by a home with a lower price tag, but remember that the number always comes from somewhere. People put lower price tags on homes that aren’t selling, and there’s almost always a reason the homes have gone unsold. A home that’s sat on the market for a while without anyone putting out an offer likely has something wrong with it. That doesn’t mean you shouldn’t go for it at all; just be sure you know what you’re getting into. Likewise, it’s important to know that superficial elements can drive a home’s price up as well. In a Zillow survey, real estate agents named curb appeal one of the five most important factors in selling a home. This means that a home with a great exterior at a normal price might be hiding some surprises inside, so be on the lookout. When you’re buying a home, you want to know everything there is possible to know about the house. This goes double for a home that you know will need repairs; having as much information as possible will help you make the right call. This can include everything from the home’s price history, to previous repairs, even to previous occupants. According to The American Pet Products Association, almost 85 million households have a pet; pets can cause a surprising amount of damage to a home, so you’ll want to know if the previous owners had any. Never buy a home sight-unseen; you could easily be walking into a home that has numerous expensive problems with it. If you’re looking to buy a home that’s farther away and you won’t be able to see it yourself in person, there are still ways to see it without visiting the location. Look online for video walkthroughs of homes; there are about 300 billion searches on YouTube monthly, many of them for home interiors that can’t be visited in person. Additionally, when you are looking at the home, having a second opinion can be incredibly helpful. Unless you’re well-trained and know what to look for, paying for a home inspection can help you avoid costly repairs that might be hidden behind walls, ceilings, or floors. Not every home is going to be the right one, and it’s okay to walk away if a home isn’t exactly what you’re looking for. The most important thing to remember is that no matter what, there’s always going to be another house on the market that you can purchase when the time is right. Jumping into a purchase can lead you to making a bad call, so take your time when figuring out if you want to make an offer. If someone’s insisting you make an offer fast, there’s probably a not-so-great reason; they might be trying to push you into buying the home before you can properly inspect it. Buying a fixer-upper can be tricky; use these tips to make sure you save money on your home purchase without buying into expensive repairs.